Tarpon fishing in the Florida Keys is some of the finest in the world. 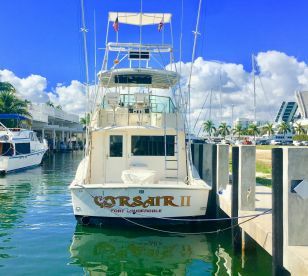 You’ll find this Silver King cruising inshore waters all the way from the Everglades and Key Largo down to Key West. 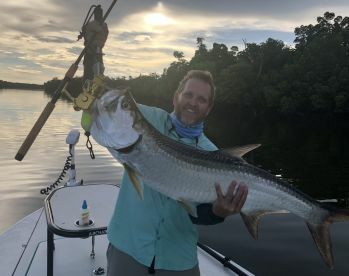 Typically known as a highly seasonal fish, Tarpon in the Keys tend to stick around for most of the year, giving anglers all the more reason to make this their go-to destination. Some specimens here grow as large as 200 lbs. Hook into this acrobatic game fish and get ready for the fight of your life! The best Tarpon fishing in the Keys runs from March until June, when these fish storm inshore waters by the thousands. 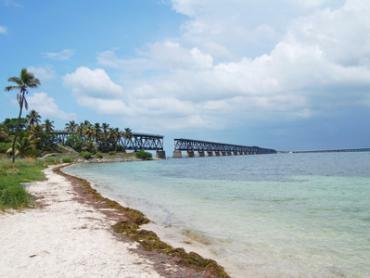 Anglers target Tarpon on the flats, in the backcountry, and near numerous bridges. 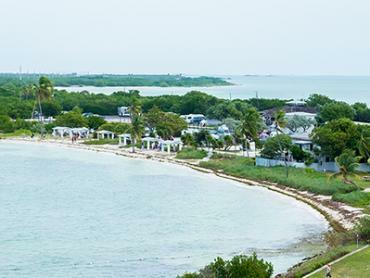 In fact, with so many bridges connecting the Keys, these structures happen to be one of the choice locations for local Tarpon fishing. 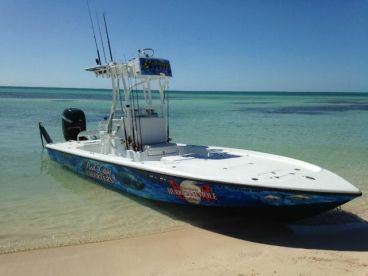 You’ll find some of the best Tarpon fishing spots in the upper Keys, particularly around Key Largo and Islamorada. 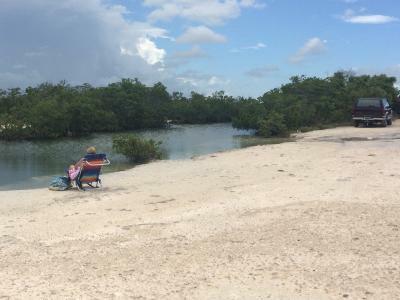 These islands give you access to productive flats as well as the endless waterways of the Everglades. 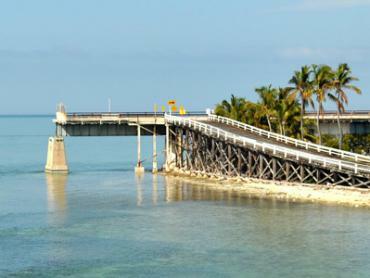 The Seven Mile Bridge and the Bahia Honda Bridge south of Marathon are also famous for impeccable Tarpon fishing. Anglers swear by the waters under these bridges, where you can catch 100+ lb specimens on fly. 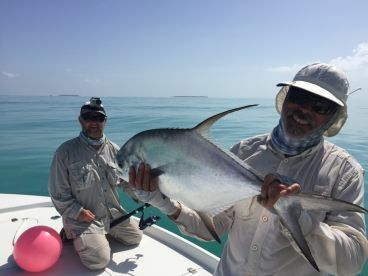 Yet another prime fishing spot is down in Key West harbor, where Tarpon make themselves at home in winter (so long as the water stays relatively warm). Look for them here around bridges and in the channels. Nothing thrills anglers in the Florida Keys more than sight fishing for Tarpon. On the flats, you’ll spot the Silver King most often around raised areas near openings in the banks. This is where they ambush baitfish swept in by the tide, providing the perfect opportunity to cast a line while they feed. You can use 20-30 lb spinning tackle with a 6’ leder of 50 lb monofilament. Effective baits include live Shrimp, Crab, and Pilchards. Fly fishermen should use a 12-weight outfit. 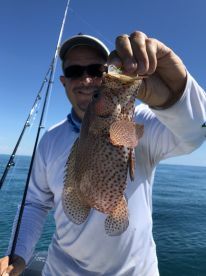 When fishing in deeper areas like channels, the standard method is to anchor the boat and fish live bait (Mullet, Pinfish, or Crab) under a cork. 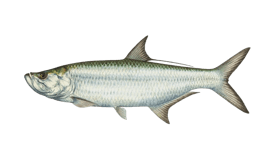 You can lure Tarpon closer by chumming Shrimp, cut fresh fish, or frozen ground Menhaden. Fish in either the morning or afternoon, while the tide is slowly ebbing. 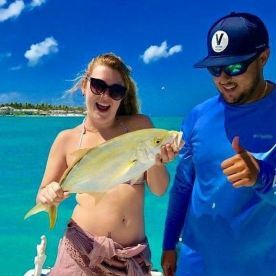 All licensed fishing charters in the Florida Keys provide a license for their customers. If you plan on fishing from your own boat or from shore, you must purchase a fishing license (available online). As with all of Florida, Tarpon fishing in the Keys is strictly catch and release. Large Tarpon (over 40”) should not be removed from the water. One exception is if you land a record-breaking Tarpon, in which case you may keep your catch. If you plan on breaking the IGFA Tarpon record, be sure to purchase a Tarpon tag ahead of time ($50, price subject to change). Tarpon fishing in Florida Keys varies moderately throughout the year. High season is April to September. Low season is January to February and October to December. There is no closed season. Amazing trip with Captain Buddy.. He made it such a special day for my husband and I. He took extra time with us so my husband could catch his tarpon and get a photo, even tho it was already dark! Will book with him again on our next visit to the Keys! 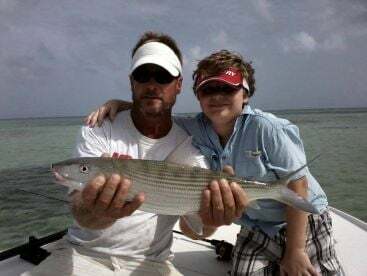 "Tarpon guide with Captain Jeff"
I have been on many guided fishing in South Florida and Florida keys. This BY FAR was the best experience ever!!! Captain Jeff is very professional and knowledgeable. I would recommend him to anyone looking for the time of their lives. We caught 100+ lb Tarpon with him. He was genuinely excited for each of or catches. I look forward to fishing with him again in the near future!!! We had a Great day with captain Jeff fishing for tarpon. I ending up hooking up to a tarpon on my very first drift! The day held plenty of action. Jeff was relentless in searching for fish, and was extremely knowledgeable of the area. 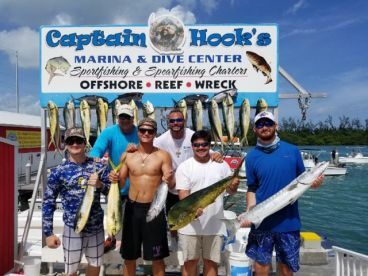 DO NOT hesitate to book a trip with capt Jeff. We had a great time. Thank you again Jeff we had a blast fishing with you.